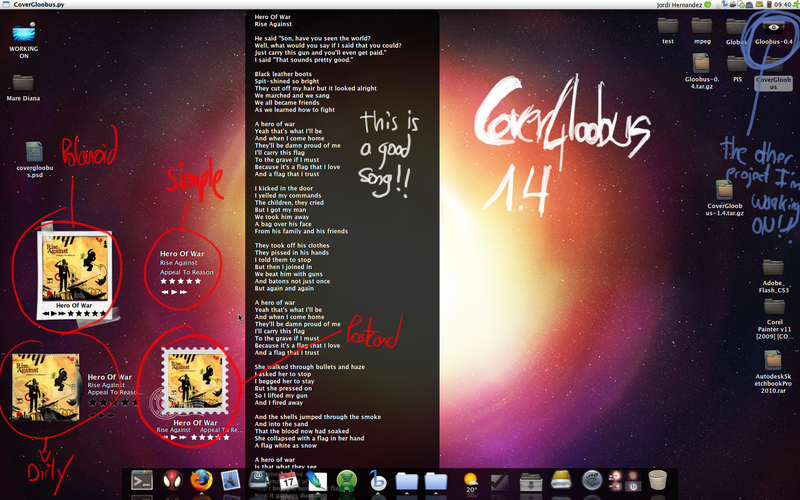 Ubuntu blogspot: Banshee + CoverGloobus = Awesome! Of course you have write the correct path for the CoverGloobus folder. CoverGloobus is very slick looking and easy to customize. There's some very nice themes to choose from (click the preview below). A cool feature is that CoverGloobus can download lyrics of the song your playing simply by middle clicking on the applet. This is the work of Jordi Hernàndez who also is responsible for Gloobus (which I blogged about some time ago). dude gr8 work but with d recent covergloobus gettin installed in usr/share & usr/bin directories,d above script fails stating permission denied...how to overcome this mate? ?